Syedna Fakhruddin TUS led Ghadeer-e-Khum namaaz, prayed doa and took a heart rending wasila. Maulana then led Zohor Asr namaaz and delivered waaz mubarak. After reciting Syedna Taher Saifuddin RA Qasida “al-Yawma Eid-u-Ghadeer-e Khummi", Maulana TUS began the bayaan narrating the incident at Ghadeer-e-Khum where Rasulullah SA performed 'jahran' nass on Amiral Mumineen AS, proclaiming that he would be his successor after him in a public manner. Maulana related that even prior to Ghadeer-e-Khum, Rasulullah had received the revelation to deliver this final message. Once at Mount Arafat, during Hijjatul Wada, and once later, and then finally at Ghadeer-e-Khum. Finally before Ghadeer, an ayat was revealed that stressed that if the message of the walayat of Ameerul Mumineen was not delivered, then it was as if nothing was delivered at all. Upon each revelation, Rasulullah had requested ismat (protection) from Allah Taala – for himself, Amiral Mumineen and Aimmat Tahereen AS, and for Du’at Mutlaqeen. Maulana explained that the zahir linguistic meaning of ismat is protection or security – the ayat states that Rasulullah has been granted protection from the people. In addition, the tawil meaning is in regards to nass and succession: no Imam and no Dai would pass away prior to appointing a successor like himself. Thus, by this act of Rasulullah, the continuity of Dawat is preserved till this day. Maulana gave several examples including when Syedna Yusuf Najmuddin RA (42nd Dai) and his younger brother Syedna Abdeali Saifuddin RA (43rd Dai) both fell severely ill at the same time, in different cities; when Syedna Qutbuddin Shaheed RA (32nd Dai) who took his successor, Syedna Firkhan Shujauddin RA (33rd Dai), along with him, even when shahadat was imminent, and finally, the most aa’la example of Imam Husain AS, who took his successor Imam Ali Zainul Abidin SA with him and kept him alongside till the end at Karbala. Maulana narrated in detail the events of Ghadeer-e-Khumm when Rasullulah raised Amiral Mumineen till his knees and proclaimed the historic words, man kuntu maulahu fa haza ‘Aliyyun maulahu (Whomsoever I am the Maula of, Ali is his Maula). Maulana also narrated the events of 17th Shabaan 1385H when Syedna Mohammed Burhanuddin RA proclaimed Syedna Khuzaima Qutbuddin RA as his Mazoon and Mansoos. 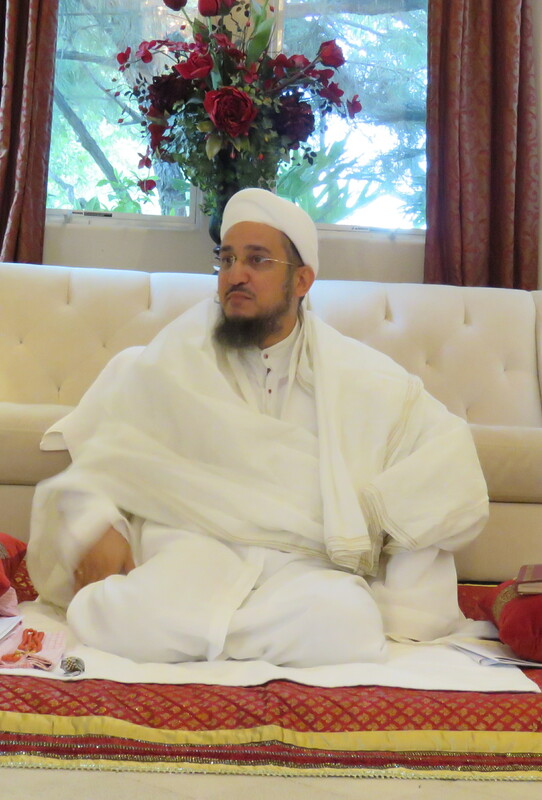 Afterwards, for days, Mumineen would give safaqat to Syedna Burhanuddin at Badri Mahal after Fajr namaaz and Syedna Burhanuddin instructed that Mumineen would perform salaam & qadambosi of Syedna Qutbuddin after Syedna Burhanuddin. At the end of the waaz, Maulana recounted Imam Hussain’s shahadat in Karbala. Maulana performed doa that may we have strength and courage to do buka and maatam of Imam Hussain in the auspicious days of Ashara Mubaraka to come.